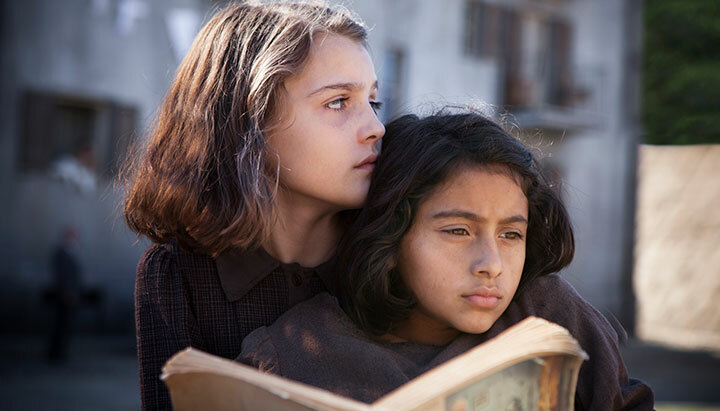 L’Amica Geniale (My Brilliant Friend) is one of the most eagerly awaited dramas of the year. 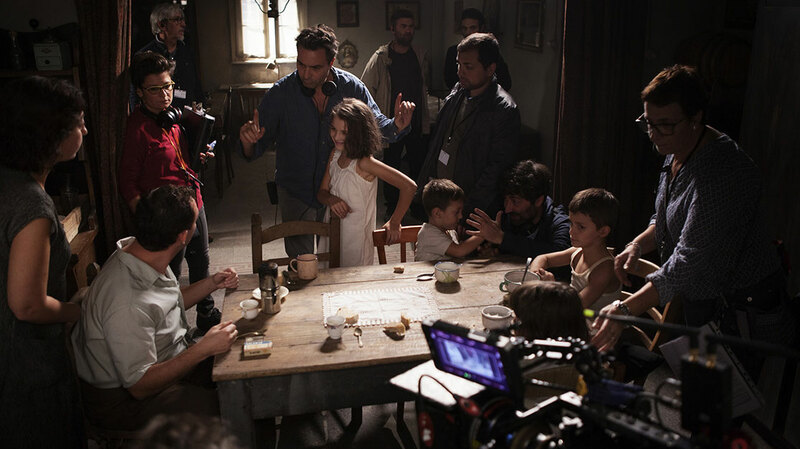 Director Saverio Costanzo tells DQ how he steered the ambitious period drama, based on Elena Ferrante’s novel, for Italian broadcaster Rai and US cable network HBO. 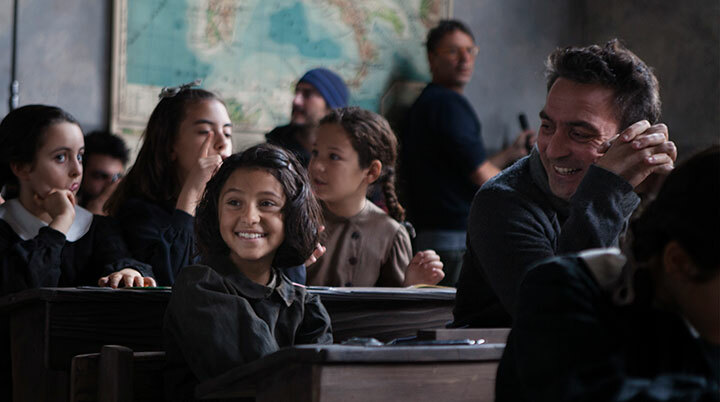 Since the project was first announced in February 2016, anticipation has been building for L’Amica Geniale (My Brilliant Friend). Not only does it mark the continuance of Italian broadcaster Rai’s expansive drama ambitions, it is also a rare example of a foreign-language series commissioned by US cable network HBO. Then there’s the fact it is based on the bestselling novel by Elena Ferrante, the mysterious Italian novelist operating under a pseudonym. Interestingly, Ferrante has been a key member of the development team behind the series, corresponding with director Saverio Costanzo by email. She is also listed as a writer on the first four episodes, alongside Costanzo, Francesco Piccolo and Laura Paolucci. Based on the first book in Ferrante’s Neapolitan quadrilogy, the story opens with Elena Greco (aka Lenù) who, after discovering her long-time best friend has disappeared without a trace, starts to write the story of their friendship. From her first meeting with Raffaella Cerullo, known as Lila, at school in 1950, she goes on to cover more than 60 years of their lives, describing Lila as both her best friend and worst enemy. Set in Naples, the Italian-language series stars Elisa Del Genio and Ludovica Nasti as the young versions of Lenù and Lila, while Margherita Mazzucco and Gaia Girace play teenage the pair in their teens. My Brilliant Friend is an HBO-Rai Fiction and TimVision series, produced by Wildside and Fandango. The producers are Lorenzo Mieli and Mario Gianani for Wildside and Domenico Procacci for Fandango, in coproduction with Umedia. Fremantle is the distributor. The series launches on HBO this Sunday and on Italian streamer TimVision on November 27. Here, Costanzo, director of all eight episodes, tells DQ how the series came together and discusses the challenges of casting more than 150 actors and 5,000 extras and filming across southern Italy on vast sets totalling 215,000 sq ft.
How did you first join the project? I was contacted by the publishing house because, among other suggestions, Elena Ferrante mentioned my name. I didn’t search out this beautiful story; it was looking for me. I feel very fortunate. What was the appeal of directing the series? Ferrante’s story possesses the fundamental features for a film narrated in episodes: great characters who are facing a deep and exciting dramatic reality; plot twists that are never announced, but almost invisible, which film enlarges like a magnifying glass, building the tale of a life piece by piece; and a perfect synthesis of the epic and the tragic. What are your thoughts on Elena Ferrante’s novel? What were the core elements needed in the series? The real challenge was to succeed in narrating the epic story of a friendship. Friendship is an exchange of love where the boundaries between rights and duties are much more blurred compared with the love between a couple or the love of one’s children. It’s a free exchange and a much more lively one, where roles are mixed together and overlapping. The friendship between Lila and Lenù is a romantic dance that occasionally takes on the form of a very violent struggle. It’s two bodies chasing each other and overlapping, but stubbornly following the same rhythm, with the shared purpose of becoming complete persons, one by means of the other. How involved were you in the adaptation process? I wrote the first three episodes in one go, following the narration of the original text. Then, following a blueprint that the author agreed with and accepted, we wrote the rest of the scripts together with the screenwriters. What was your experience working with Ferrante and having the original author so involved in the adaptation? She supported and helped us whenever the turns the screenplays were taking didn’t agree with the book. Every so often, she worked on some original dialogue in an extraordinarily convincing way. She has an impressive talent for cinematic writing, a sense of scene that is not self-evident for someone writing literature. What is your directing style? How did you bring that to this production? Provided that my approach [as a director] remains the same, I adapt my style each time to the story of the film I am making, to the needs of the story I am telling. In the case of My Brilliant Friend, I was thinking of a classical story where the camera would be almost invisible. The director’s ego, or the director’s character, should never make an appearance in the scene, but rather should let the narration of the story be as fluid as possible. This act of mimesis was the most difficult to achieve. How did you use the book to inform your direction? I let myself be inspired by the literary weight of the original text. I concentrated on setting up the scenes, on the nuances of the acting and on the picture, so that every shot could include the same tension and fullness that makes the pages of the book come alive. How did you work with the cast, both before and during production? What kind of performances did you look for? I’m always looking for authenticity, depth and gravitas. The greatest risk was to become generic and focused on motives. We engaged in a long period of rehearsals with the little girls in order to give them a strong awareness of the story and characters. We tried and retried until, once they arrived on the set, they could enjoy the adventure of the story with a strong awareness of who Lila and Elena are. We managed to do an even more specific job with the teenage girls. For six months, they were working every day in a workshop where all of the cast rehearsed the scenes. In this way, they learned to use their voices, bodies and emotions, while at the same time we built a strong and consistent working team. I’m very proud of all of them. Tell us about casting the lead actors. We held open casting sessions; thousands of children came. We tried out more than 9,000 people to find the four protagonists. We were helped by the city of Naples, which is like an open-air theatre: everyone is capable of playing a part there, everyone is a great actor. But we were lucky to have such developed characters that were well described by the author. For this reason, once we found ourselves in front of the protagonists, we understood immediately that they were the ones for us. When what you’re looking for is clear to you, it’s much easier to find it. What kind of Naples is presented in the series? Where did you film and how did you use real locations and studio sets? Most of the locations were reconstructed in the studio. It was impossible to film in Naples at the real sites, because the city has changed too much since the 1950s. We reconstructed the neighbourhood 20km away from Naples, basing it on a community in the outskirts that the author started from in order to imagine her neighbourhood. We never tried to be only literal, though. We started out from a real piece of data and adapted it to our dramatic needs. Reconstruction added great value: in cinema, a cardboard wall is often more real than a cement one – an imagined city, rather than a real one. How did you balance working for Rai, TimVision and HBO? Did they have specific demands or needs for their audiences? Miraculously, all the networks involved in the production had a strong artistic vision. Nowadays, television series are showing they can elevate their discourse to the same level as film. To give you an example, in our first meeting with the team from HBO, the very first question that they asked me was whether the series would be performed in Neapolitan dialect. I said yes, but I asked why on Earth this was so important to them, since their audience would have to read the subtitles anyway, and they answered that it was because they wanted an authentic piece of work. From that point on, it was a wonderfully shared job with the same artistic purpose. What were the biggest challenges you faced, either in development or production? When you’re directing a series, it takes many weeks of work. In the case of My Brilliant Friend, there were 29 of them, and the hardest part was staying concentrated and focused for that long. Furthermore, our backdrop had to seem ‘lived in’ each time, and even a simple dialogue scene with two people involved at least 200 extras. Keeping the magnitude and the ambition of the project under control was important. How does the series stand out against the huge number of series being made around the world? I wouldn’t know. I tried to maintain a classic linear form of narration. Maybe My Brilliant Friend is simpler than other series that try out more original forms of narration, but maybe it’s exactly this timeless aspect that makes it distinct and, hopefully, attractive. What are your plans for making a second season based on the next Ferrante novel? If I don’t get fired, I’ll be happy to finish the entire tetralogy.